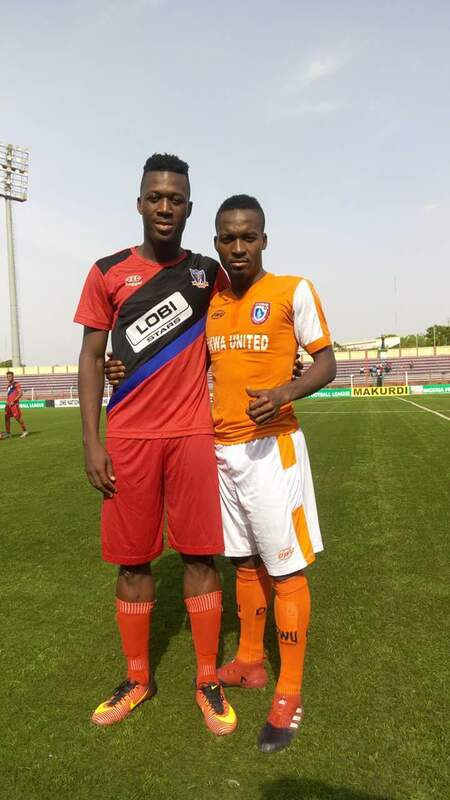 Akwa United midfielder Cyril Olisema play against his younger brother Ekene Olisema for the first time in their professional career. Ekene plays for Lobi Stars and he is playing in his first season in the NPFL. The game was played away at Lobi Stars' home front at Aper Aku stadium and the younger brother showed no respect for his brother as Akwa United suffered an away loss to Lobi Stars.